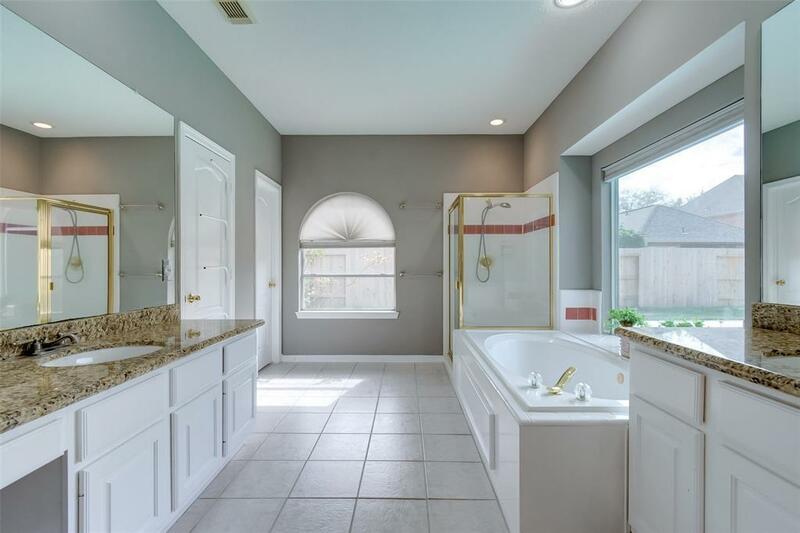 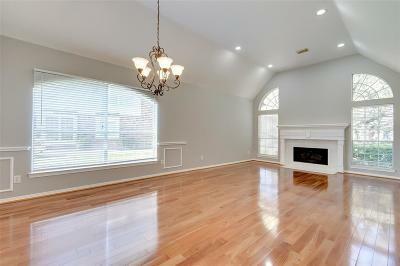 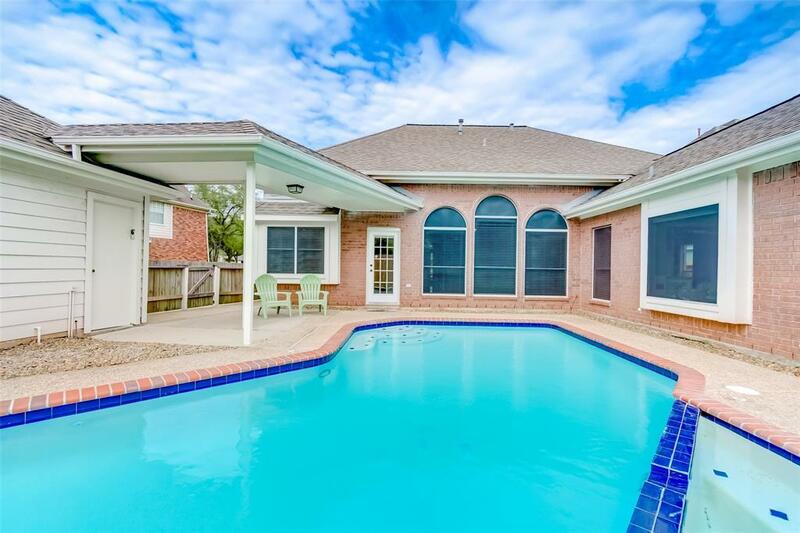 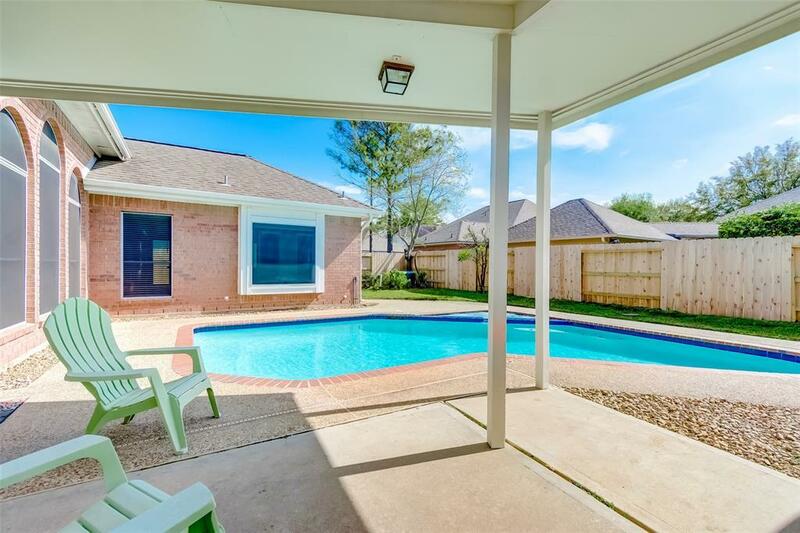 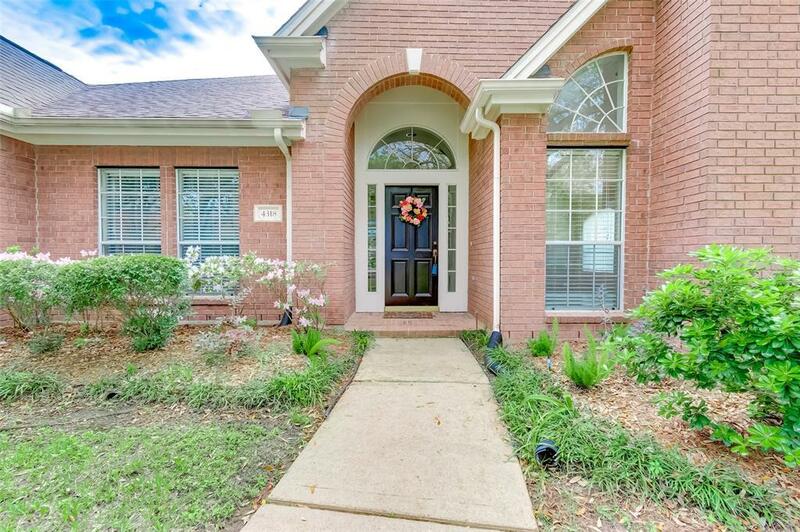 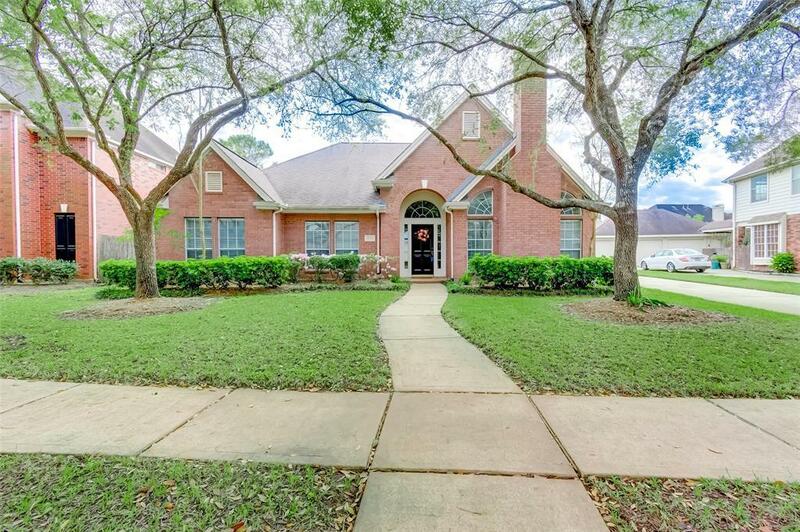 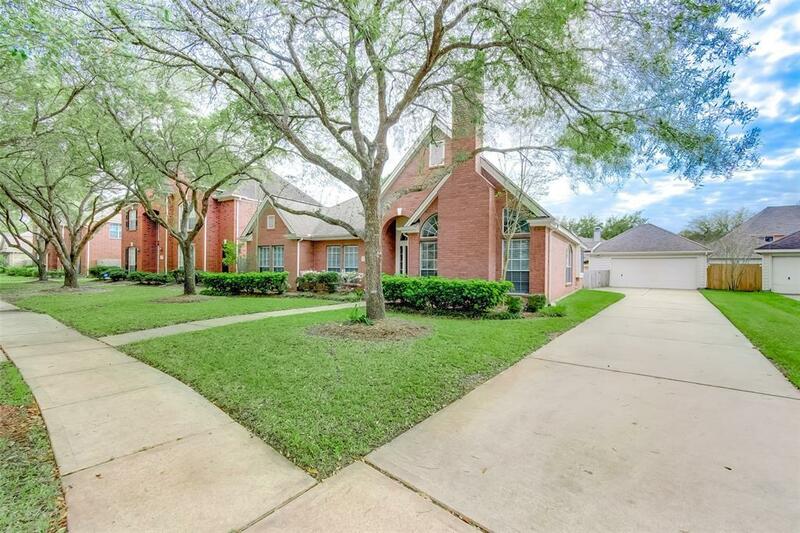 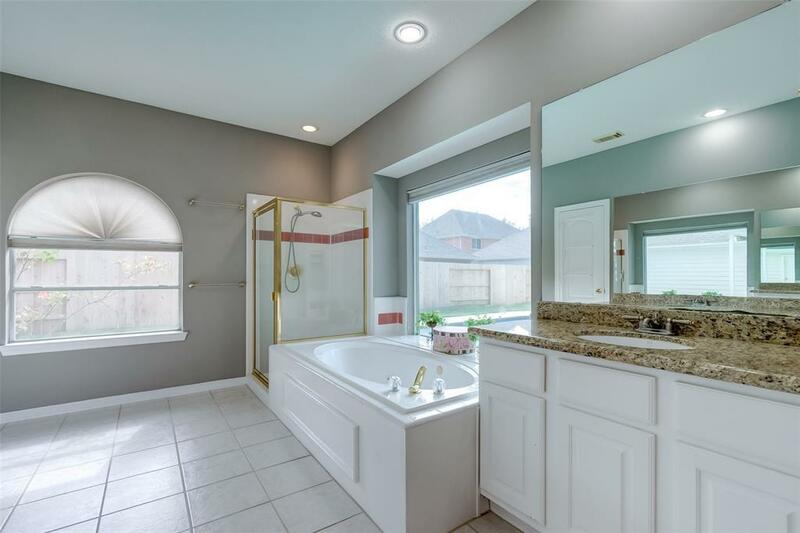 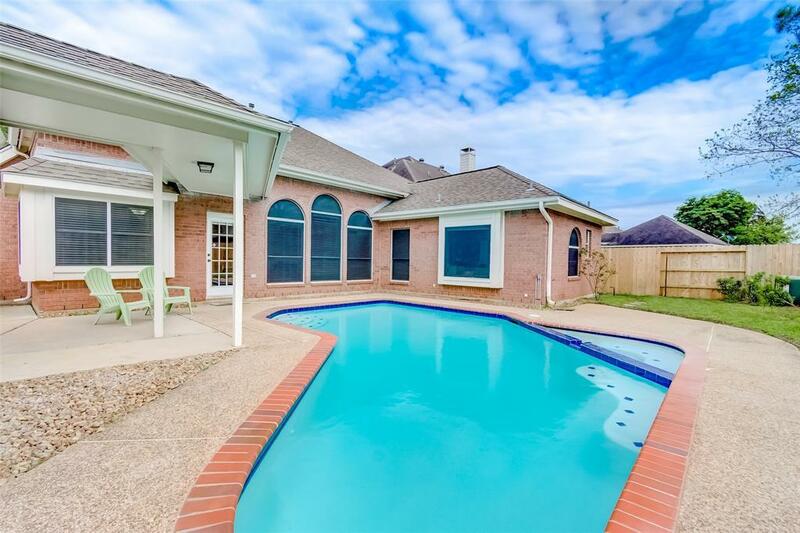 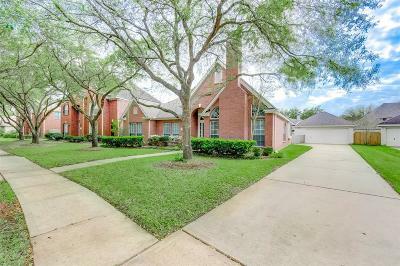 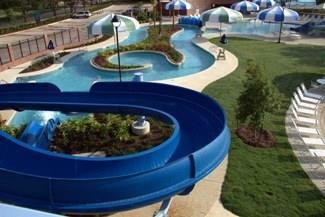 Don't miss the chance to own a beautifully updated home in Sugar Land with a pool! 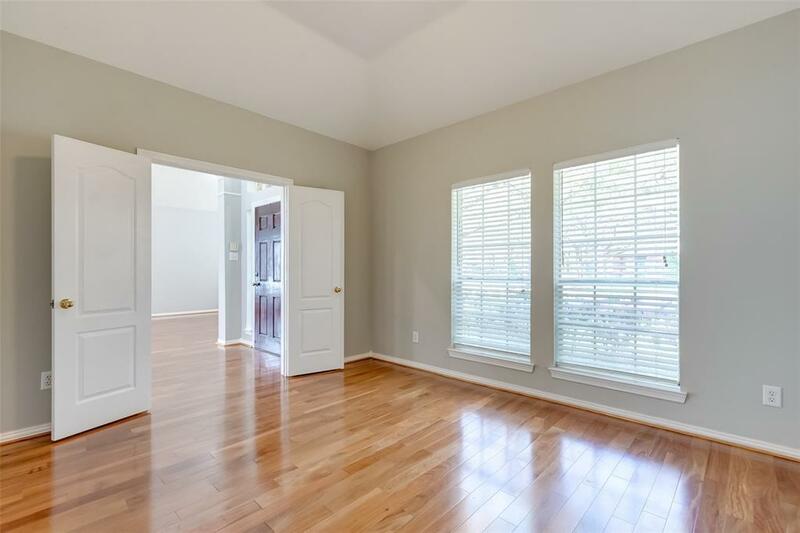 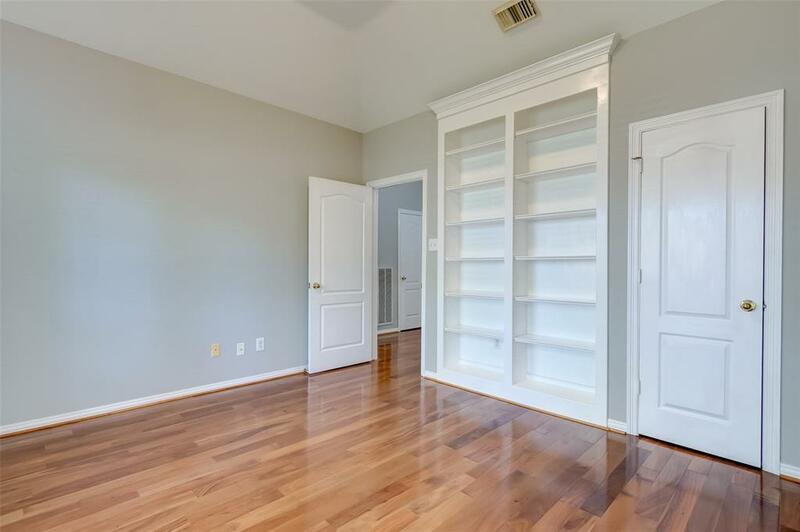 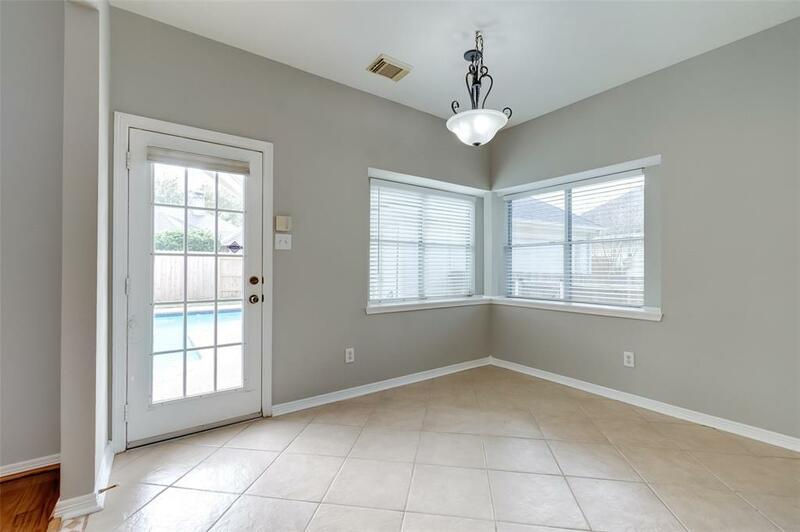 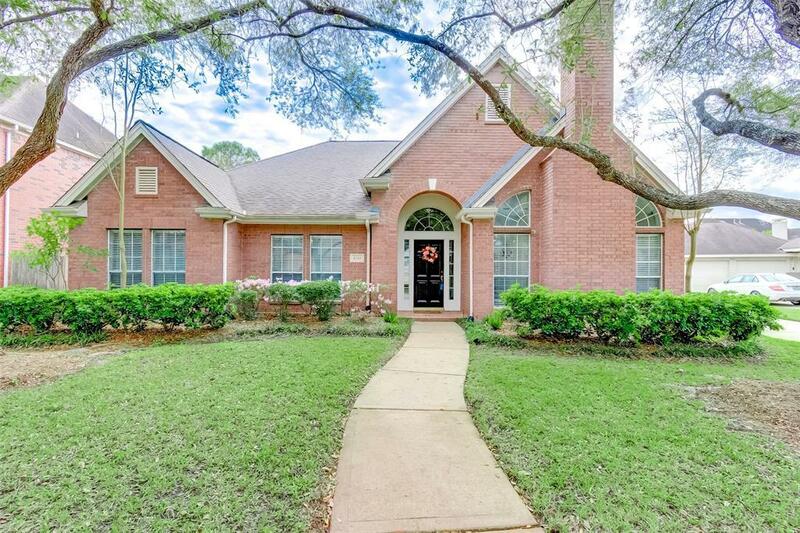 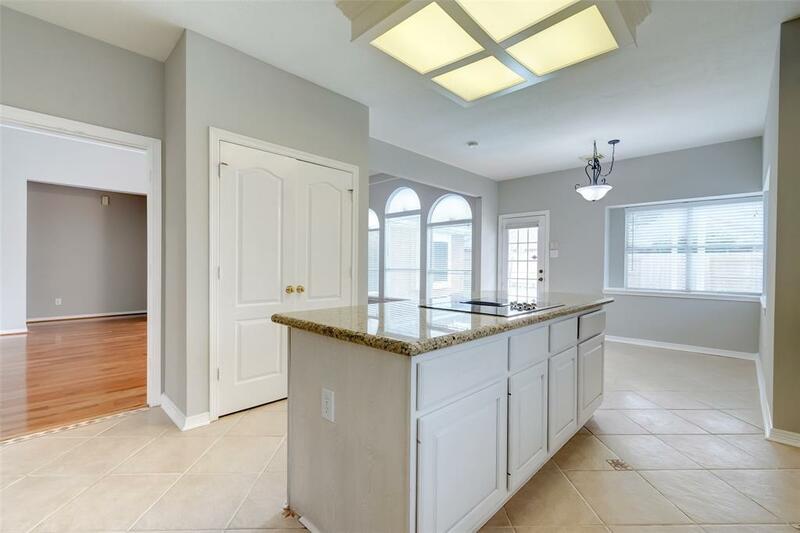 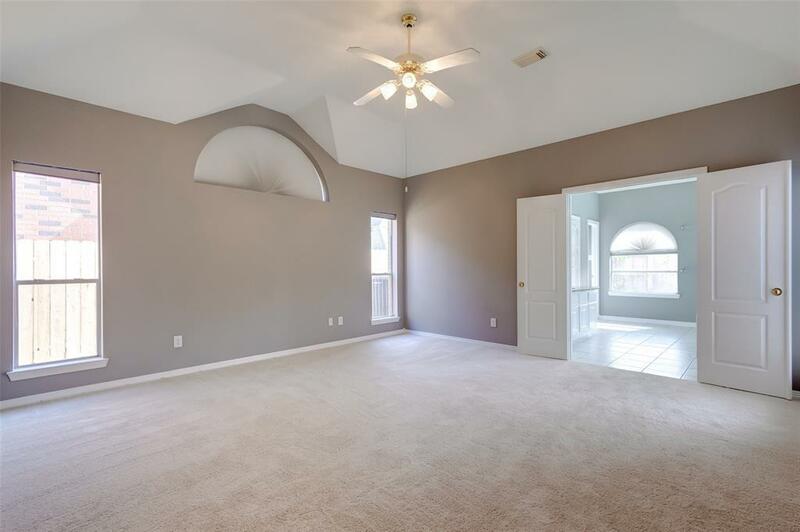 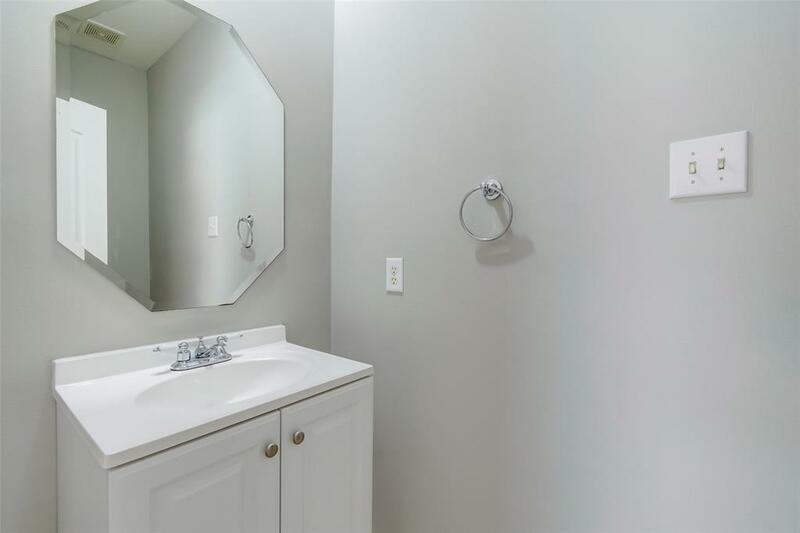 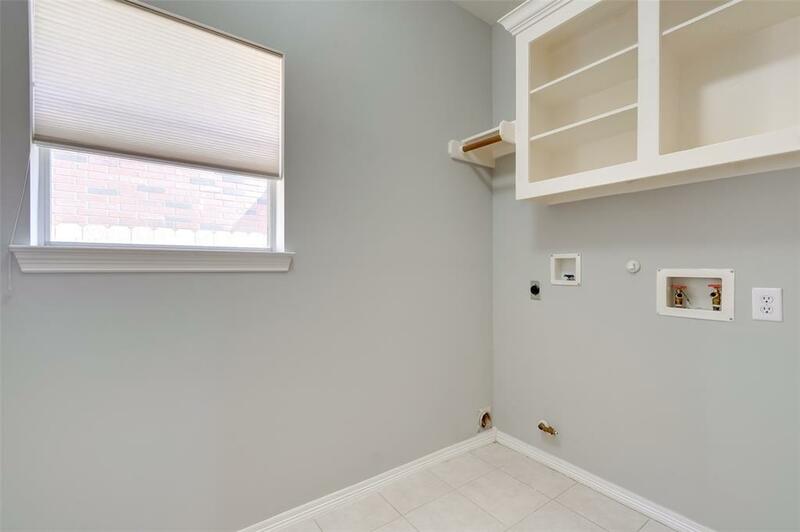 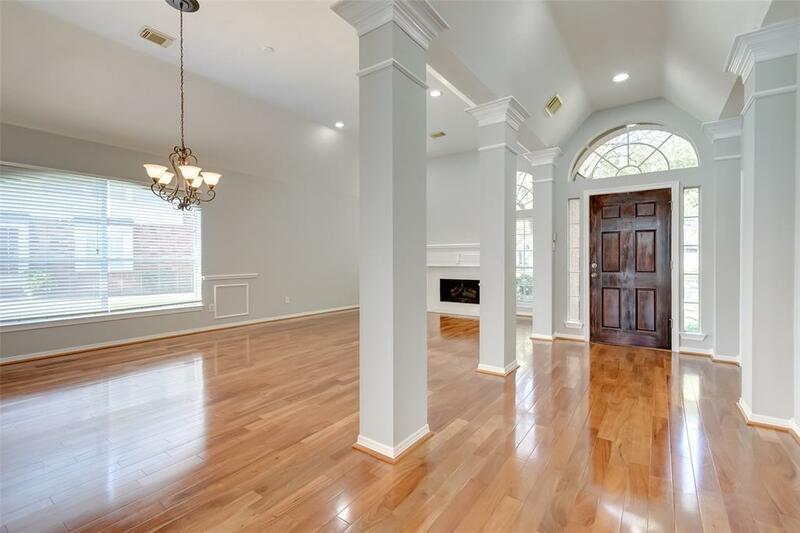 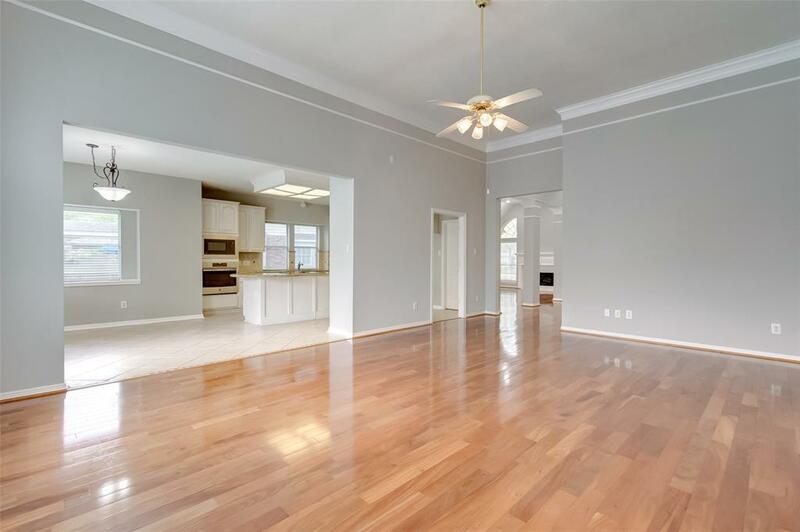 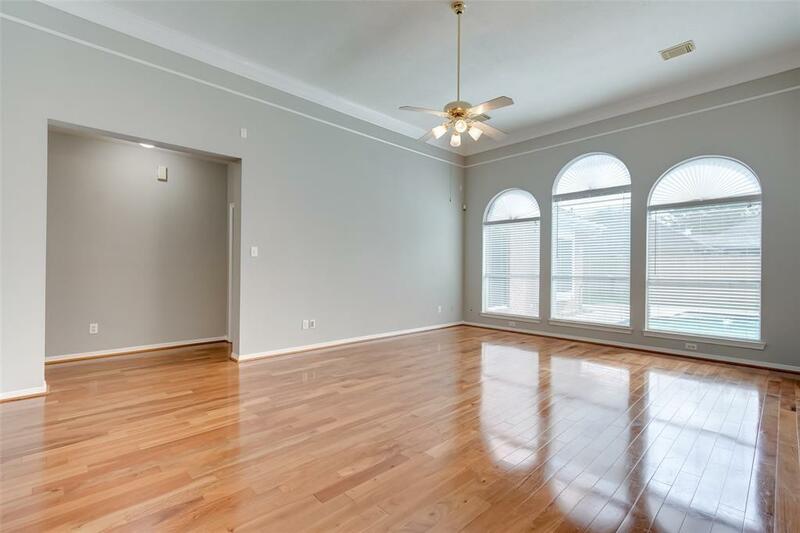 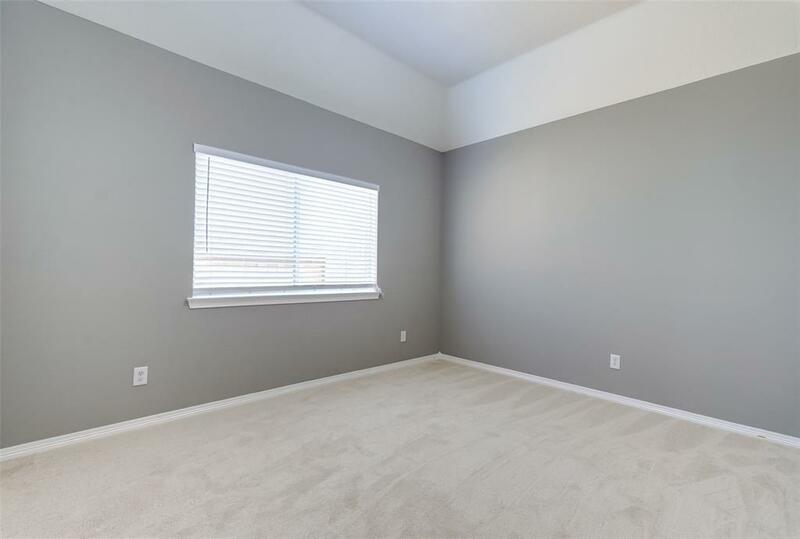 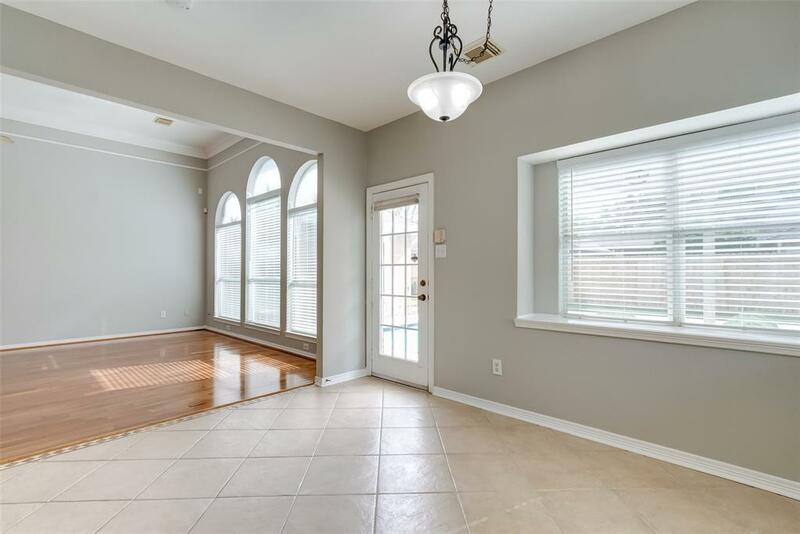 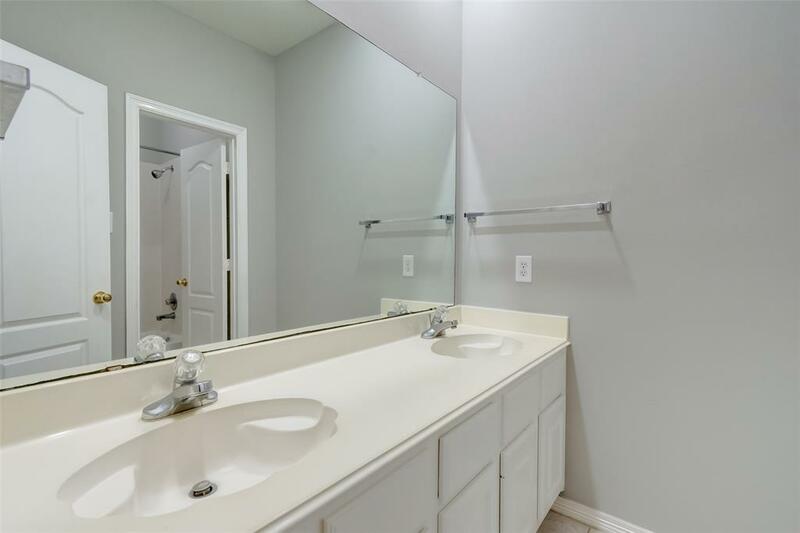 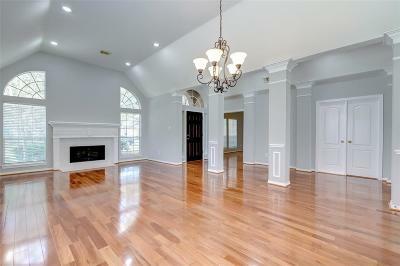 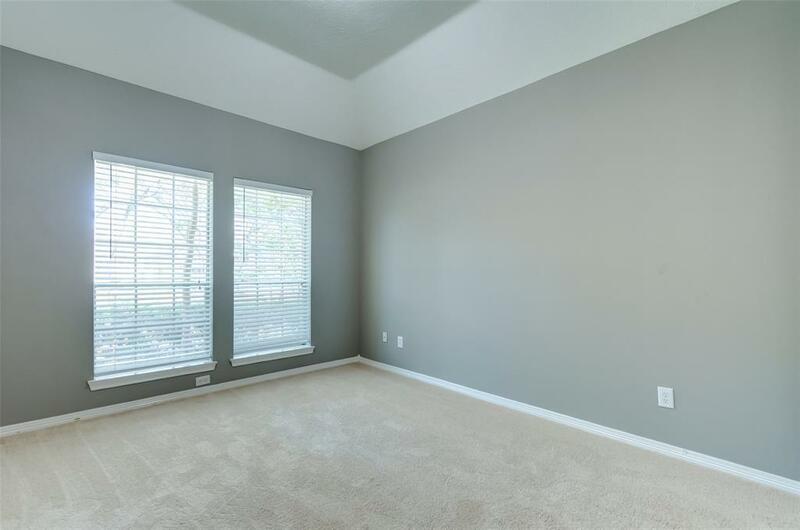 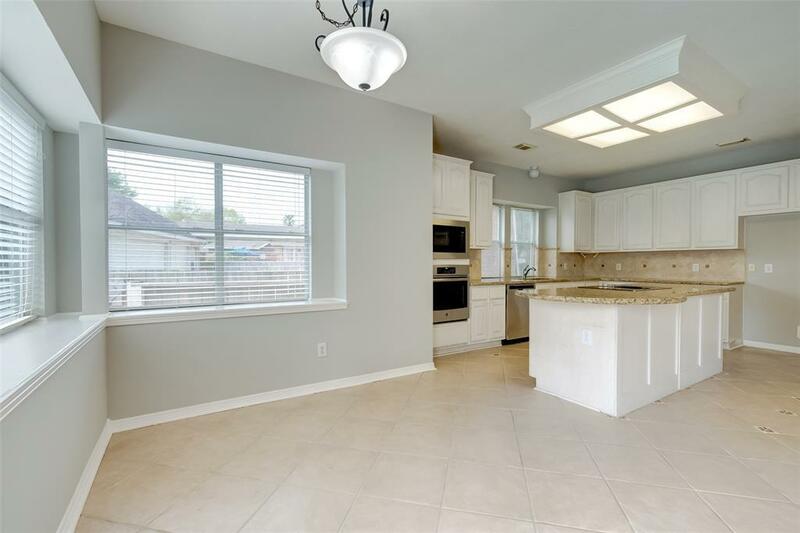 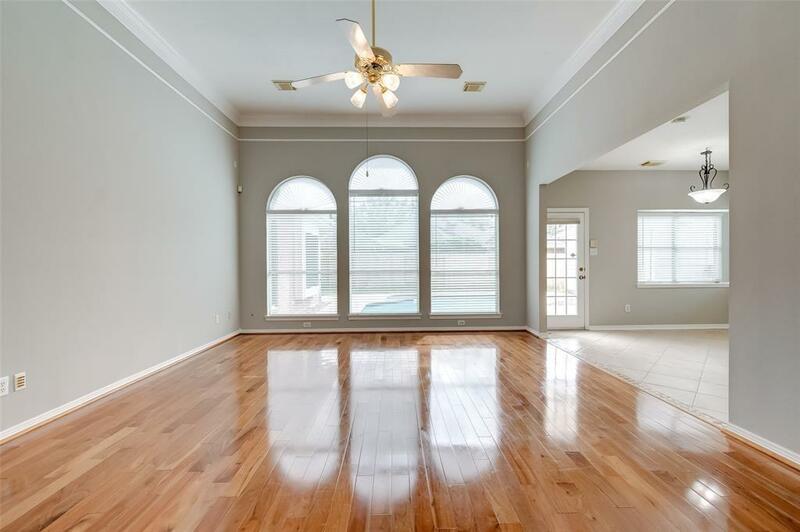 This home has been freshly painted, new carpet, new appliances and offers gorgeous wood floors in all living areas with high ceilings, crown molding and an open and airy layout. 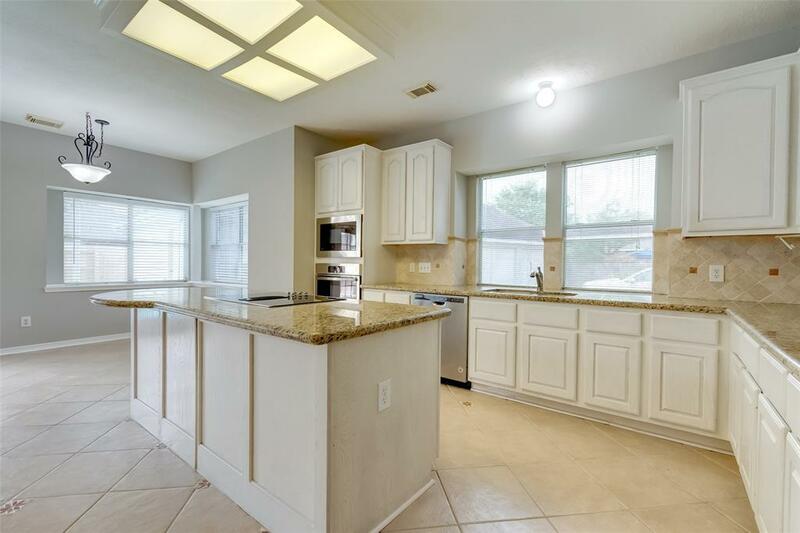 Kitchen features new stainless appliances, and granite countertops. 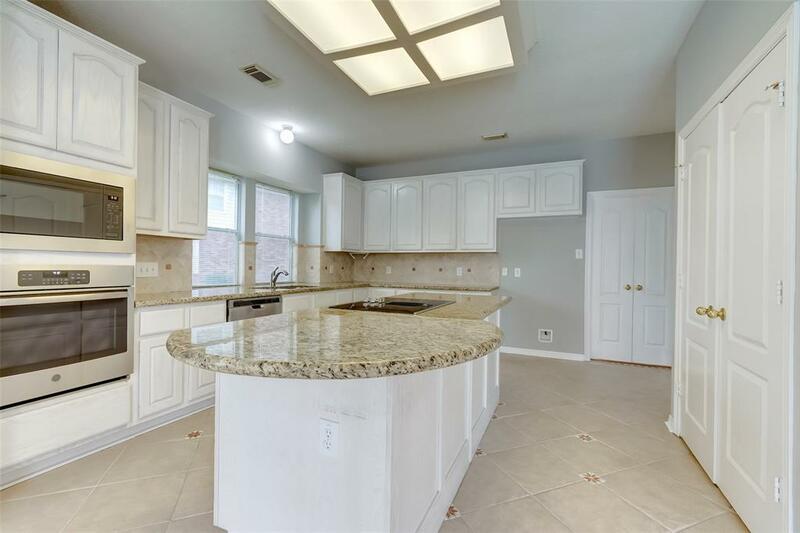 There is a gas connection if you prefer a gas cooktop. 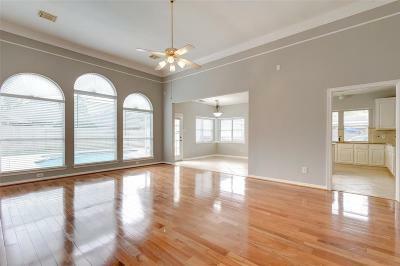 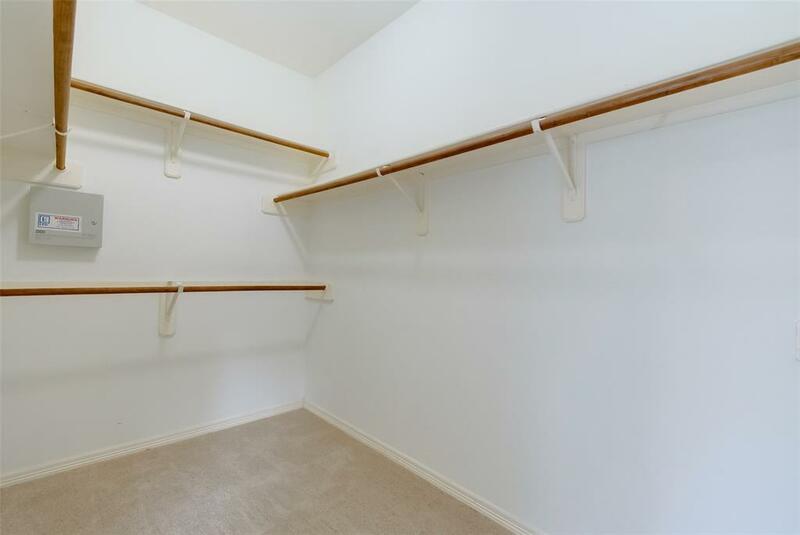 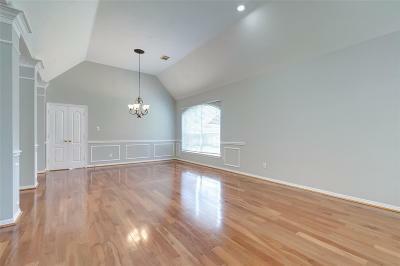 Oversized master bedroom overlooks the pool and has a walk in closet. Study can also be a 4th bedroom and includes built-in bookcases. 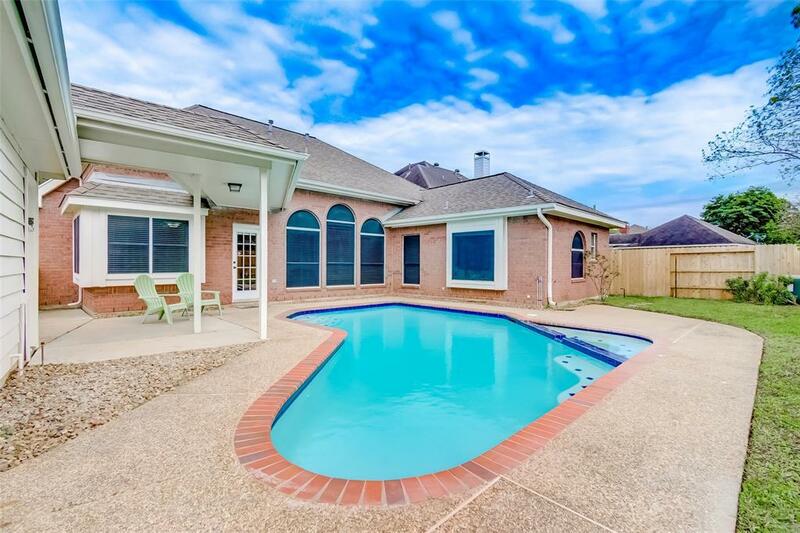 Pool has just been retiled and resurfaced and is ready for summer fun. 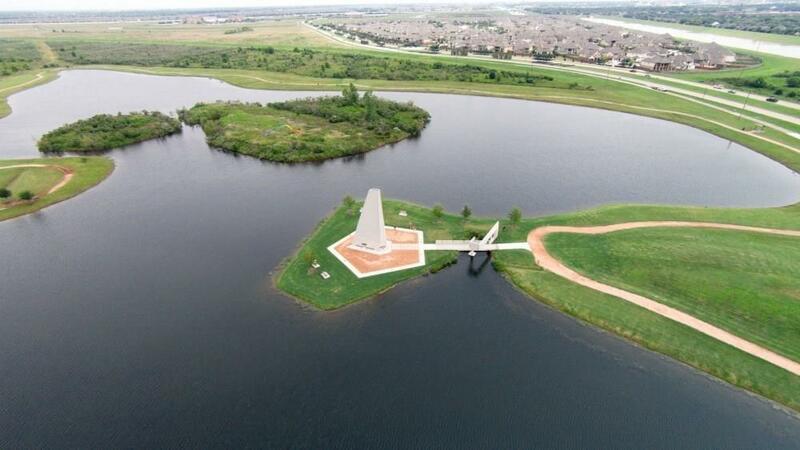 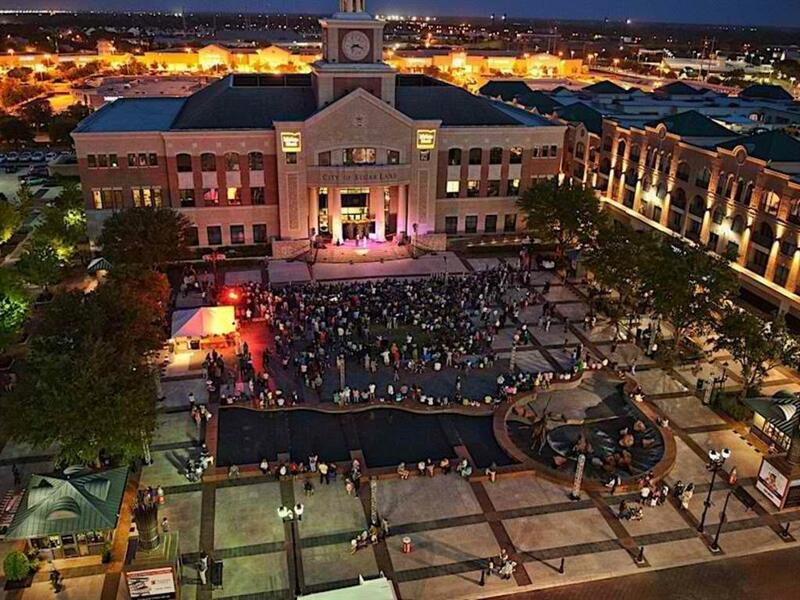 Conveniently located off Highway Six, close to shopping, highways, restaurants and walking distance to Lost Creek Park.